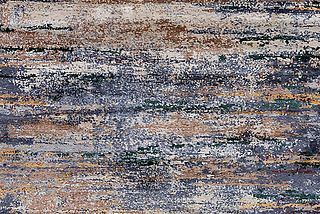 As our new rug of the month, we present you a real design highlight from our very popular Tibey Collection. The design TB17 was presented for the first time at the International Furniture Fair IMM in Cologne and was the eye-catcher at the Mischioff booth. And not only there: As one of 20 selected new products, the Tibey TB17 was exhibited as a 3D hologram in the context of the Stylepark Selected exhibition at the MAKK Cologne. The Tibey TB17 excites in many ways. 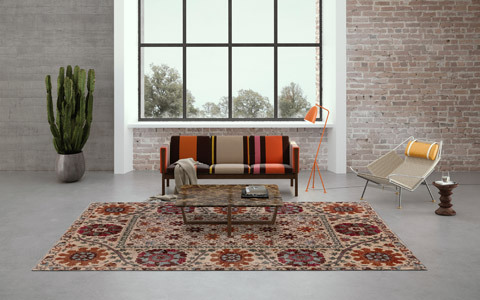 With its exciting design and expressive colours, the rug is a real eye-catcher and provides an interior with a special flair. 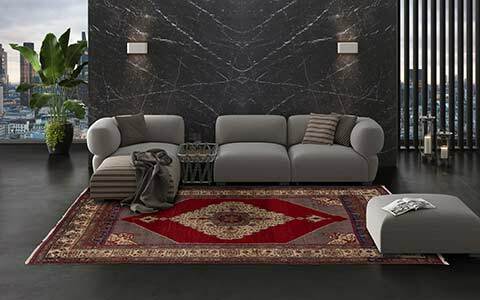 The design combines geometric shapes with classic motifs and is a real milestone in the world of modern carpet design, designed by Mischioff head designer Dani Misio. The bright colors emphasize and accentuate the design and make the Tibey TB17 a very special eye-catcher. The innovative structure also contributes to the peculiarity of the carpet. The Tibey TB17 is made in the loop & cut knotting structure, which uses different pile heights to bring the design to life. A monochrome, black woolen knot line is as a closed row slightly in the background (loop) and breaks the design slightly. 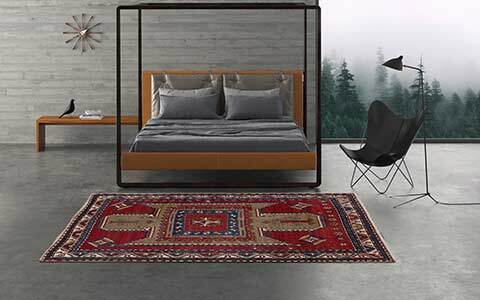 The higher-lying design line of silk (cut) overlays the lower-lying wool line slightly irregular, creating a changing look of the rug depending on the viewing angle. 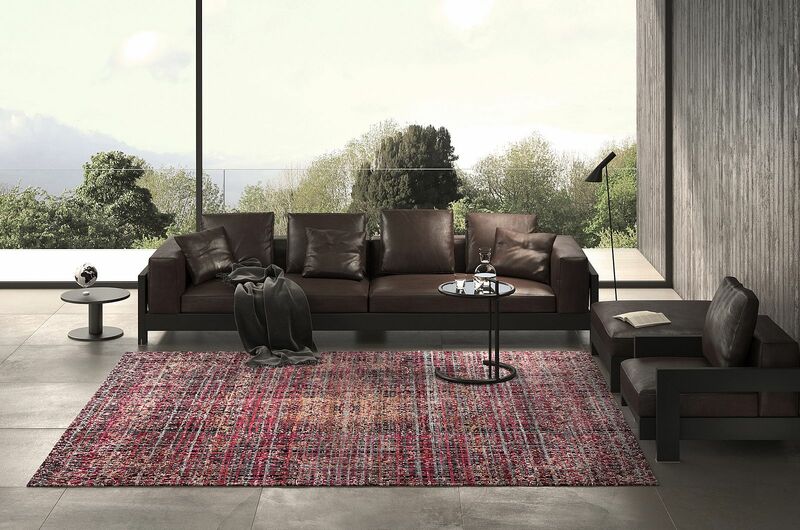 Because the silk line is raised, the carpet feels like a pure silk carpet and offers a special elegance. 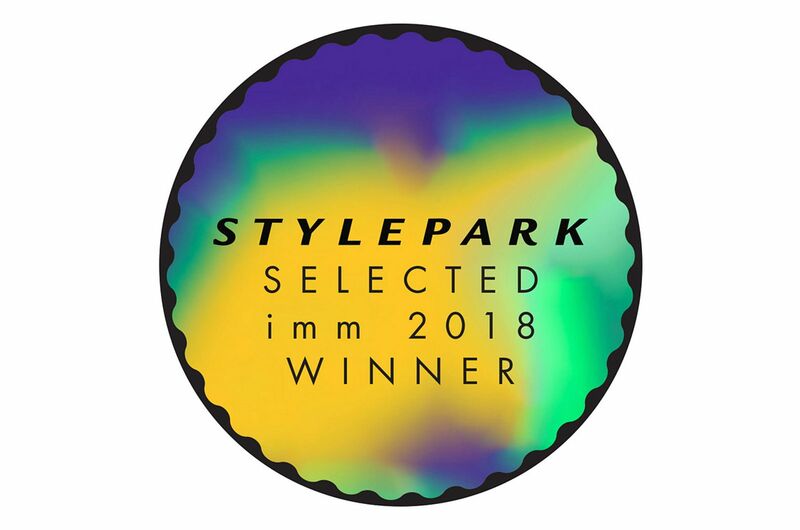 As part of the Stylepark Selected competition, the Tibey TB17 was particularly honoured: As part of the IMM show, the renowned architecture platform Stylepark has selected 20 new products from the furniture and furnishing industry and presented them in a special exhibition. In addition to outstanding sofas, armchairs and other furnishing elements, our rug of the month was not only awarded with the Stylepark Selected Award, but also exhibited as a 3D hologram in the Museum of Applied Art Cologne (MAKK). We are very pleased and honoured to be announced as one of the award winners. Our Rug Of The Month For Your Assortment! 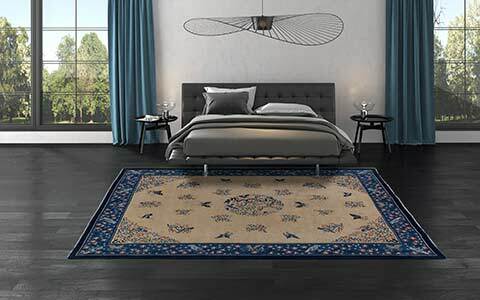 Our rug of the month is available in the standard size 300 x 230 centimeters as well as orderable in individual custom size. The Tibey TB17 is hand-made in Nepal and consists of 50 % high quality highland wool and 50 % finest silk. In addition to the TB17 model, the Tibey Collection offers a wide selection of designs for almost any interior design style. An overview of the diverse designs can be found in our online catalog - or order the current Mischioff Collection 2018/2019 catalog. 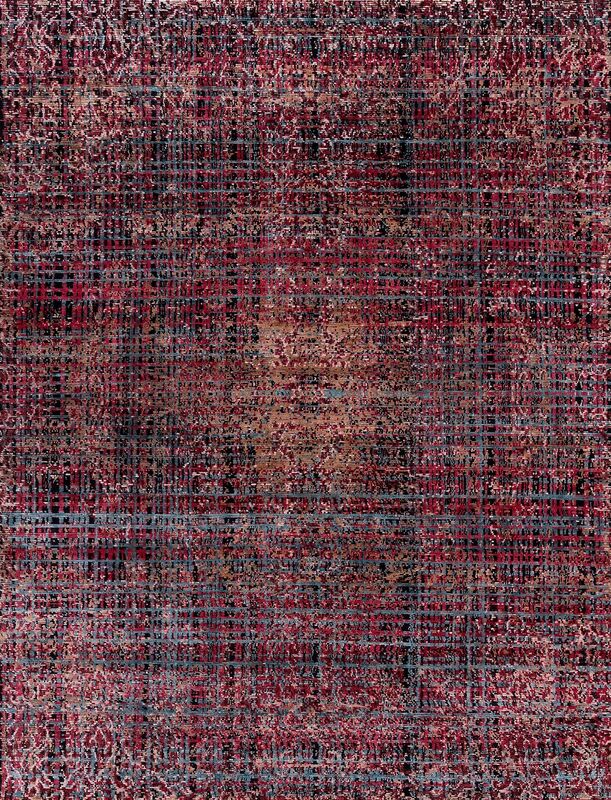 You are looking for a real highlight for your store or would like to use this special design carpet for a furnishing project? 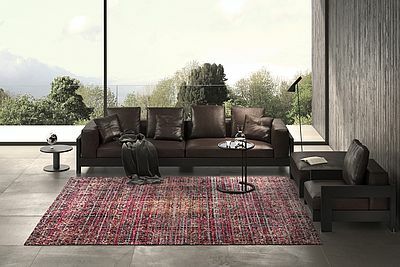 We will gladly send you further information about our modern carpet collections. Even samples of our rugs can be requested from us. We look forward to your inquiry, by phone, by e-mail or via our contact form. 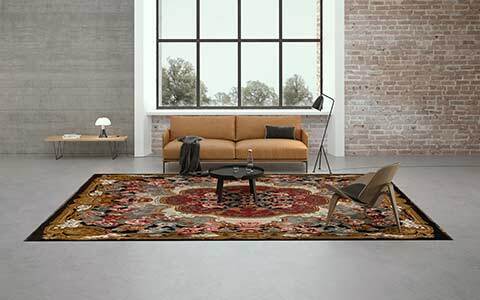 You are looking for a particular carpet for private use and have come across our rug of the month? 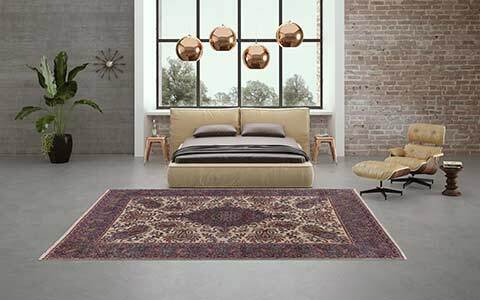 We are happy to help you to find a Mischioff distributor in your area through our retailer search, where you can order the Tibey TB17 or other Mischioff carpets. For questions about our collections, we are also happy to help and look forward to your message.